TURPIN, Okla.--A mother is charged with enabling child abuse and her boyfriend is accused of killing her four-year-old son, reports CBS affiliate KWCH. Four-year-old Noel Vargas-Diaz was brought to a Liberal, Okla. hospital on Aug. 27. 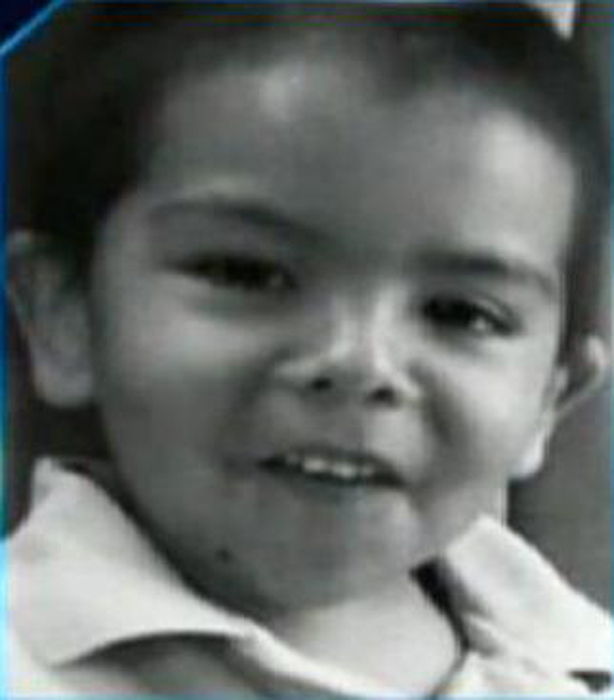 He was not breathing when he arrived and his mother, Silvia Vargas, told doctors the boy fell in the bathtub and hit his neck. Doctors said the boy's injuries were inconsistent with the mother's story, and that the boy died from severe long-term child abuse. According to an arrest affidavit obtained by KWCH, Noel had a large, red ligature mark on his neck and many bruises on the rest of his body. He also had what looked like cigarette burns on his legs and hands. Authorities interviewed other children in the home, according to the affidavit. One told investigators that Vargas' boyfriend, Yazmani Rodriguez, would beat Noel when he messed up while potty-training, didn't eat entire meals or did not put his clothes on right. Another child told authorities Rodriguez pointed a gun at the kids and their mother, threatening to kill them if they ever left. Rodriguez faces first-degree murder and child abuse charges. He remains jailed on $5 million bond. He is expected to be arraigned Wednesday.